Born in 2008, On Blackheath has grown for an evening in the park to something much bigger. Now in its ninth year the festival has blossomed into a two-day long extravaganza, featuring some of the best music, food and entertainment South London has to offer. 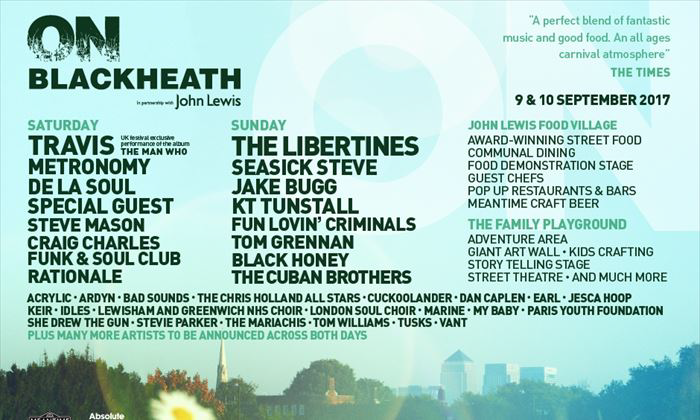 This year’s edition of On Blackheath sees Travis and The Libertines headline the Saturday and Sunday respectively, alongside a whole host of brilliant names, including: Metronomy, Kate Tempest, Seasick Steve, Jake Bugg, Rationale, VANT, Bad Sounds, Idles, Yonaka and many more. 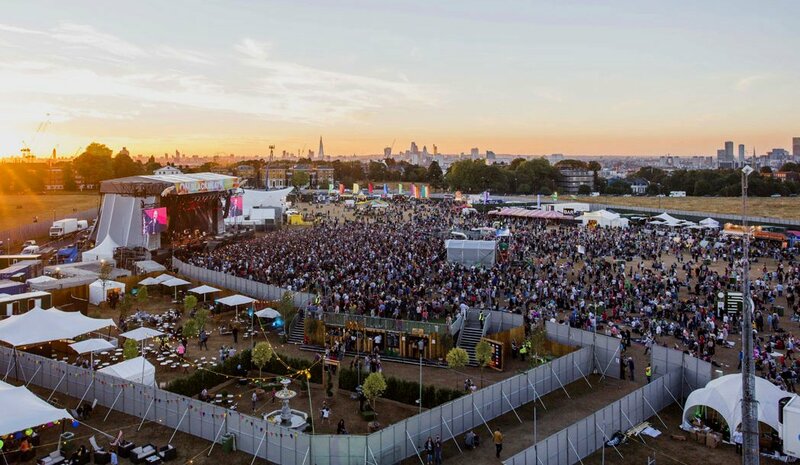 Previous editions of On Blackheath have seen the likes of Elbow, Manic Street Preachers, Madness, Primal Scream, Thundercat, Massive Attack, Frank Turner and Grace Jones take the stage at the festival. Alongside all the music On Blackheath is also known for its culinary delights. This year will see Masterchef winners descend on the park to conjure up some of their finest dishes, alongside other renowned chefs on the Chef’s Demo Stage. John Lewis will also be holding their own Cookery School at the festival, helping you learn how to create some new, exciting dishes. Tickets for the London two dayer are still available, with day tickets priced at £49.50, and weekend tickets at £90 (plus booking fees. For more info, a full lineup and more please visit the On Blackheath website.